The scientists published their findings in the journal Environmental Science and Technology (1, 2) in two studies. Some of the more controversial chemicals, used to fire-proof sofas and foam baby products like high-chair seats, have been replaced, but the new generation of chemicals can also have unknown health effects. 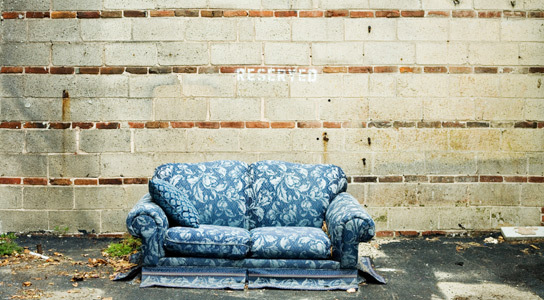 In California, large quantities of flame retardants are present in household products like sofa foams. This is because the state has legislation demands that foam inside furniture must able to withstand an open flame for at least 12 seconds. Some of these compounds have been linked to a range of negative health effects in animals and humans, including carcinogenicity and neurotoxicity. PentaBDE, part of the polybrominated diphenyl ethers (PBDEs) was phased out in 2004 in the USA and the EU following earlier bans in California and other European countries. But some flame retardants, including PentaBDE, hang around in household dust for years, leaching out of foam products into the household environment. Samples were taken from 16 Californian homes in 2006 and again in 2011. Every sample contained at least one flame-retardant, and 41 compounds were found in at least half of these samples. The compounds are likely related to legacy household products, like old sofas that were never replaced. A published study shows that PBDEs have an effect on the neurological development of children. The study found that mothers with increased levels of PBDEs in their blood during pregnancy had children that would likely to perform poorly in concentration tests at the age of five and do worse than expected on IQ tests at age seven. Of the total of 55 chemicals detected, 13 were related to PBDEs, 3 were components of Firemaster 550 and 15 were other brominated flame retardants. In a separate study, another team of researchers studied the growing use of replacement of flame retardants. Looking at 102 foam samples from couches bought between 1985 and 2010 in the USA, the researchers discovered the presence of PBDEs in 39% of them. 24% contained other flame retardants. In sample couches bought after 2005, the most common compounds found were tris (1-3-dichloroisopropyl) phosphate with 52% and Firemaster 550 at 18%. Tris was once used to fire-proof children’s sleepwear, but was withdrawn in the late 1970s after concerns that it could cause cancer. Be the first to comment on "Cancer-Causing Flame Retardants Remain in Homes Years After Being Banned"